One of the best ways to increase engagement and grow your following is to build a community by reposting photos, Stories, and videos you think your audience will enjoy. Instagram is one of the few social media platforms where you’re discouraged from sharing posts belonging to others. There’s no easy way (yet) to share photos, videos, or Stories on the native Instagram platform, but that doesn’t mean it’s impossible. If finding and reposting awesome content created by others is more your speed, read on. We’ll talk about how to easily repost photos and videos on Instagram and avoid legal issues. Is it legal to repost on Instagram? While it seems like the internet is a lawless land, where folks share all kinds of content without giving it much thought, the truth is that it is illegal to repost copyright-protected content that you don’t have permission to share. According to Instagram’s Community Guidelines, you should only share photos and videos that you’ve taken or that you have the right to share. If you do want to share content created by others, always ask permission to repost the photo or video on your Instagram, give proper credit within your caption, and tag the image with their Instagram handle. As an active Instagram user, you likely create and edit tons of photos. 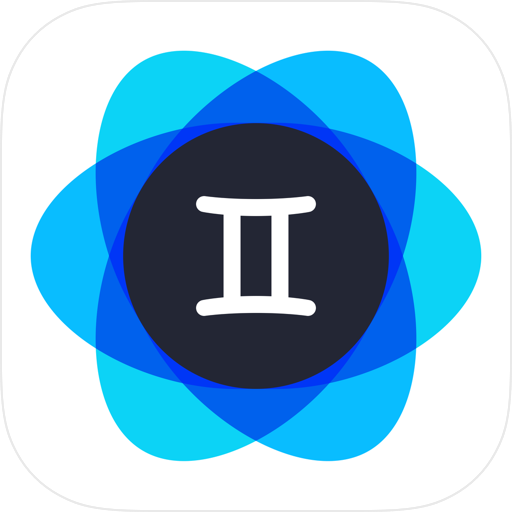 An app like Gemini Photos can clean up your iPhone photo library and save you space by clearing similar images, blurred photos, and other useless clutter. Instagram Stories let you create and share multiple photos, videos, polls, and other content that is put together in a slideshow format for your followers to watch over the course of 24 hours. Using Instagram Stories is essential to growing an engaged following on Instagram, and reposting Stories is a great way to build up your community. As a general rule, Instagram has never been about sharing content posted by other users, but in the summer 2018, the platform rolled out a new feature — the ability to share Stories you’re tagged with on your own Instagram account. 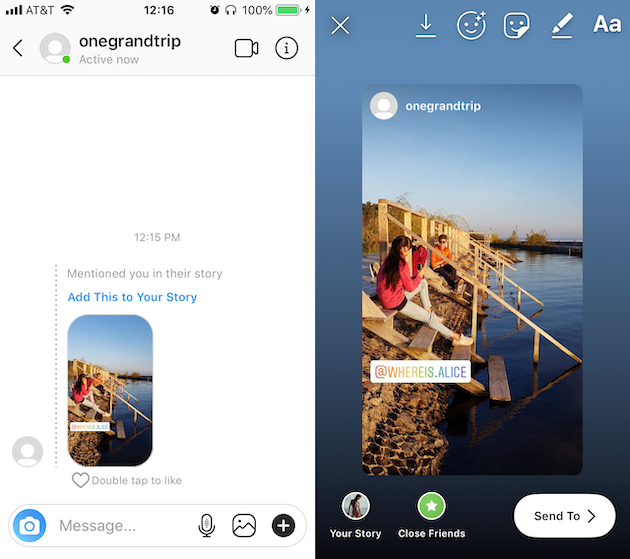 This has been a game changer in many ways, making Instagram Stories one of the best ways to connect with your followers. If a friend tags you in one of their Stories, you will get a direct message from Instagram letting you know. For the next 24 hours, you’ll be able to repost the Story. Go to Instagram > Direct Messages. Tap Add This to Your Story. In the Story editor, you can add stickers, additional tags, and text, just as if it were a Story you created yourself. Tap your profile icon with Your Story written underneath. Your new Story is live! Can I repost an Instagram Story I’m not tagged in? If you’re using the native Instagram app, you can only save and repost Stories that you’re tagged in. When someone tags you in a Story, they are essentially giving you permission to repost it. If you have verbal permission to repost an Instagram Story but haven’t been tagged in it, there’s an iPhone workaround that you can use with your built-in screen recorder. Scroll down until you see Screen Recording and tap the plus sign. 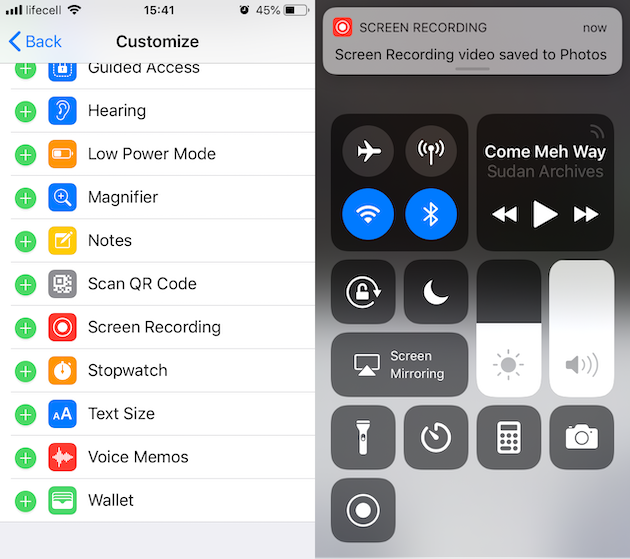 This will add the screen recorder to your swipe up screen, where you’ll also find your flashlight, camera, and other shortcuts. When you want to record an Instagram Story, just swipe up and tap the red record button. Swipe back down to return to the Story. Your screen recorder will record everything on the screen, including sound, until you swipe up and tap the Record icon again. Screen recordings are automatically saved to Camera Roll. Once you’ve saved someone’s Instagram Story as a video, you can edit it and repost it to your own Story. You should always give proper credit by tagging the original Instagram account, and again, you should never repost someone’s Story without permission. Can I see who shared my Instagram Story? As you already know, whenever you’re tagged in someone’s Instagram Story, you receive a direct message letting you know that you have been mentioned. You will get this message whether you’re being tagged in one of the user’s original Stories or one of your own Stories that they are reposting. However, if someone creates a screen recording of your Story, saves it to their Camera Roll, and then reposts it, you won’t be notified unless they voluntarily tag you. This is because they have essentially created a new Story using your content. If someone shares your Story in a private message, you won’t be notified either. There are definitely ways to repost photos and videos on Instagram, and as long as you have permission from the post’s original creator, it’s totally fine to do so. None of the reposting methods available are completely straightforward, as Instagram is primarily focused on creating original content, not sharing the content of others. 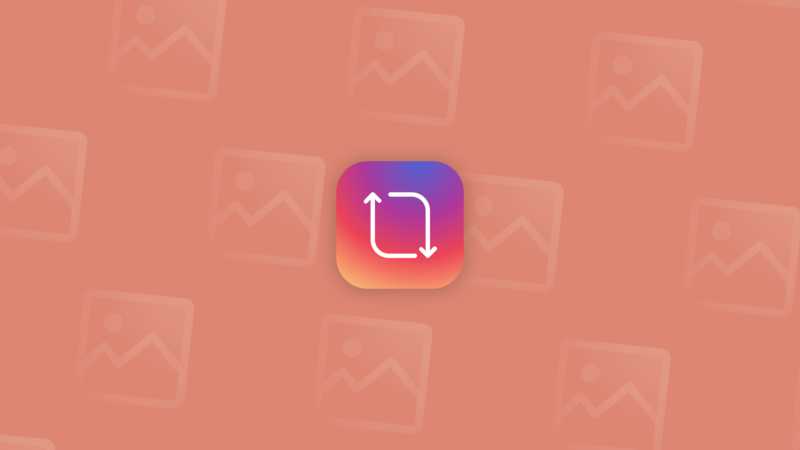 Here are some ways that we’ve found to repost photos and videos to your Instagram feed or Stories. Probably the simplest way to repost photos and videos on Instagram is to take a screenshot or make a screen recording of the post you want to share. We already talked about taking a screen recording using the feature in your iPhone’s settings. 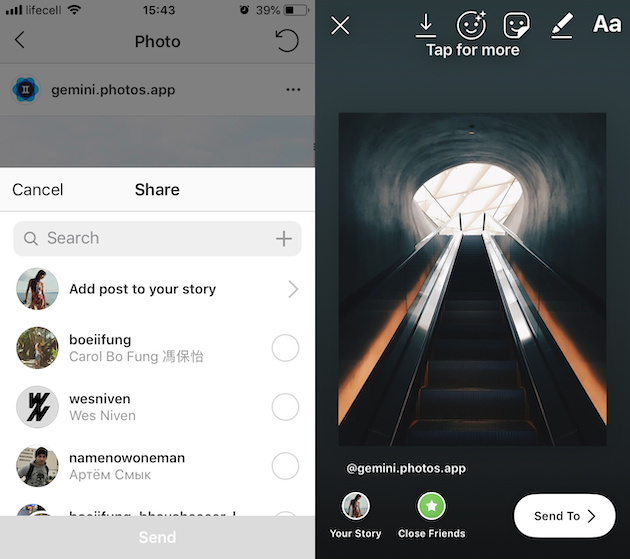 To take a screenshot of an Instagram photo, simply navigate to the post you want to share, and hold down the Home and Power buttons at the same time. This will capture whatever is on your screen and save it to your Camera Roll. After the screenshot is taken, tap on its preview to crop the image and get rid of the Instagram logo, comments, and other distractions. Once you’ve edited the photo, you can repost it to your Instagram feed. Can you repost an Instagram post to your Stories? Navigate to the post and tap on the paper airplane icon below the post. From there, tap on the plus sign to add the post to your Story Editor. You can customize the post in your Stories making it smaller or larger, adding stickers or text. When you finally share it with your followers, Instagram will automatically tag the post’s original creator. Can you repost Instagram posts with captions? The easiest way to repost Instagram posts with captions that you have permission to share is to use a third-party app. The most popular of these is Repost for Instagram, allowing you to repost with just a few taps. Repost for Instagram adds a small watermark to the corner of the post, providing attribution to the original creator. You should also tag the creator both on the image and in the captions. Once you’ve got the post uploaded in Repost for Instagram, you can copy and paste the original caption to add to your post. Can you repost your own post on Instagram? You can definitely repost your own photo or video on Instagram. In fact, this is a great way to repurpose your content. You just need to be careful that you’re not reposting the same photo or video so many times that it gets old to your followers. You can use the Repost for Instagram app mentioned above, which will tag you in its included watermark. Your alternative option would be to screenshot your photo, crop it in a photo editing app, and repost that way. Until Instagram embraces sharing content across its platform, you’ll have to get creative with how you do it. The most important things to remember when reposting on Instagram are to always ask permission and to give proper attribution. If you’ve covered your bases legally, Instagram is perfectly happy with you sharing the best content you can find across your feed and your Stories.